Hard to believe school is almost out. Here we gave you some tips on organizing for Fall. Now let’s tackle Spring. Garages are a real challenge for most people, whether a single person or a large family. Why? The simple reason is that in a rush, we tend to throw everything into the garage. In fact, over half of all double garage owners have so much stuff they can’t park one vehicle inside it. And by vehicle we mean car! Bikes, riding lawn mowers and scooters don’t count. All humor aside, Storall wants to help you tackle that garage before the Alabama summer heat sets in. Organizing a garage can be a weeks-long project. Here we focused on helping you get in done in one day. It can be a real Saturday bummer to clean a garage. Get yourself and company ready by setting the mood. Good music on the bluetooth, cold drinks in the cooler and pizza on speed dial. Most of all, focus on the finished result. Maybe you’ll now have room for a ping pong table or man cave. The best part may be a car parked nicely in the garage on those rainy mornings! Once you are all committed to getting this done, do about 10 minutes of homework. First, call your local donation center that will pick up household items. Commit to a date for their pickup and let them know roughly what items there will be and where you will have them. Next on your homework is visit your city’s site for rules of disposal. Know ahead what to do with household chemicals, old paint and the like. These are what causes a lot of unnecessary clutter in garages. Dispose of them properly as you go into your labeled box (see tip 5). Chances are, a lot of the clutter in your garage is not yours alone. Enlist the help of children, spouses and extended family. Even neighbors and friends might be willing to help. 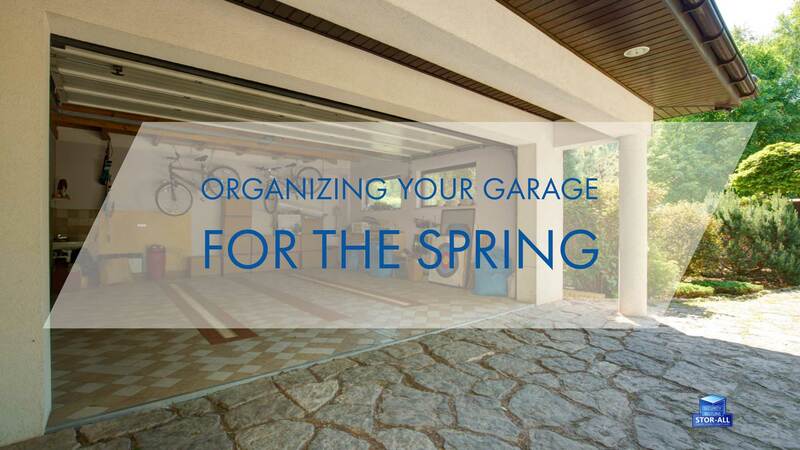 Getting an entire garage organized can be daunting. Divide it up mentally and physically into quarter sections. Envision a large square and divide it into fourths. If you have help, each person can tackle one of these sections. Now that you have your sections, begin by decluttering. Give every person a set of 4 boxes in which to put items. The bags/boxes are labeled: Keep, Garbage, Donate, Chemicals. But I love Tickle Me Elmo...a note about letting go. Kids might have a hard time parting with some things. Parents too! It’s helpful to know many of your donated items can make another child’s life a little brighter. Or a needy family. Do you really need a baby monitor and stroller if your child is 18? Donate them and relieve someone else’s burden. Resist the urge to have a yard sale. That only prolongs the clutter. Donations are a tax benefit as well. Your garage is decluttered! Congratulations! Now begin in those same sections reorganizing from the bottom to the top of each section. You’ll be amazed at the space created by just getting rid of unwanted items. The last step is a nice sweep through your new tidy area. For more storage tips, give us a call today. Beltline and Security Stor-Alls are located in Mobile, Alabama for all of your storage needs! Check out Beltline and Security on Facebook, or visit us online at www.StorAlls.com! © Southern View Media 2018: Reproduction without explicit permission is prohibited. All Rights Reserved. “We Put You Online So You Don't Get Left Behind.